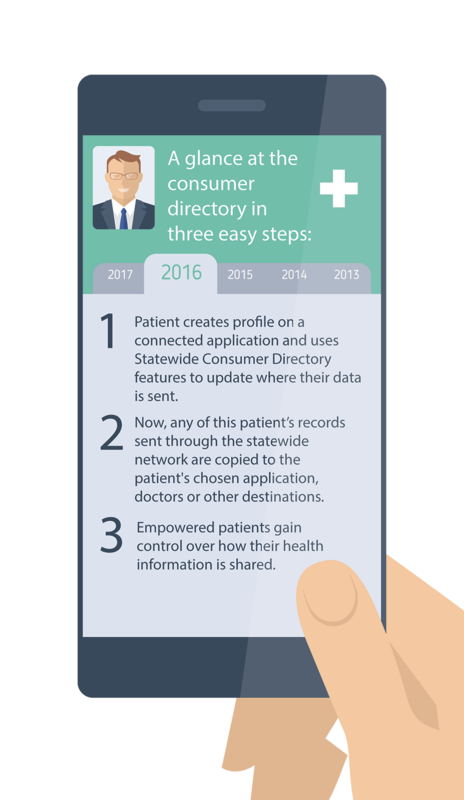 What is the Statewide Consumer Directory? MiHIN connects providers, payers and healthcare stakeholders across the state of Michigan. Now, patients are also part of the network. You don’t want to track down your health information when you’re sick. You want to focus on feeling better, and you want your doctors to already have the information they need to help you. How does SCD work for you? Meet Joan Chen and her son Billy. Her four-year-old son Billy sees 13 different specialists and physicians in Michigan and nationwide, each of whom needs to stay current with Billy’s condition and treatments to help coordinate his care. Joan has purchased a mobile application called iBody to help track Billy’s health updates, but has trouble getting the information she needs from Billy’s doctors to make sure the mobile app is current. When iBody begins offering a new service to connect to Michigan’s Statewide Consumer Directory, Joan can now make sure her iBody mobile app is updated with Billy’s information from doctor and hospital visits. Joan can also now choose which doctors receive electronic copies of that information too. Patients and Providers connected, everywhere.